Posted by Pam in KC in Dancing Flowers, goals. 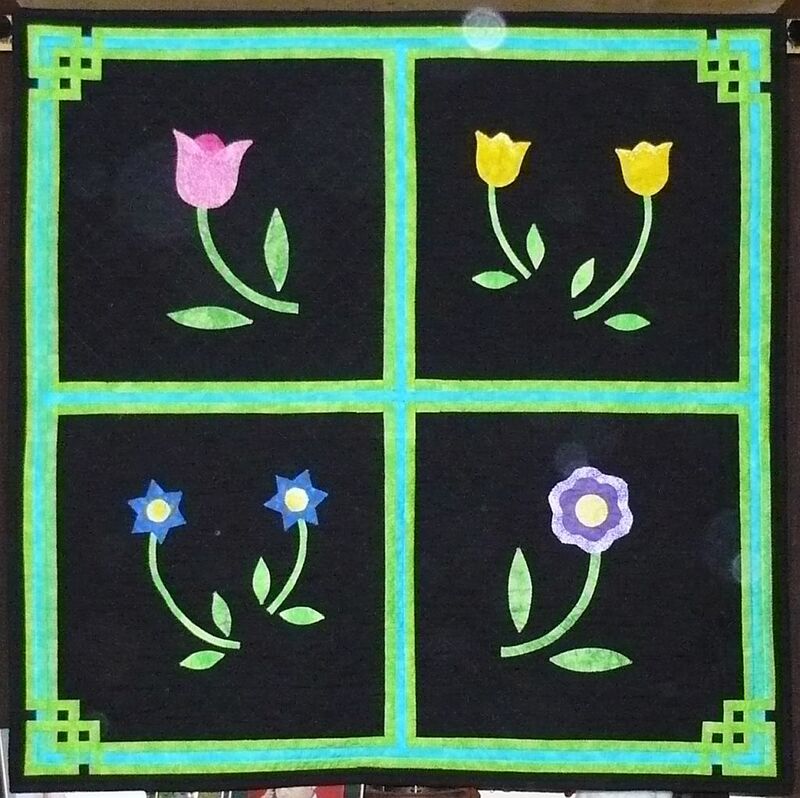 Earlier this evening I finished stitching down the hanging sleeve on Dancing Flowers. It’s even been washed and dried. 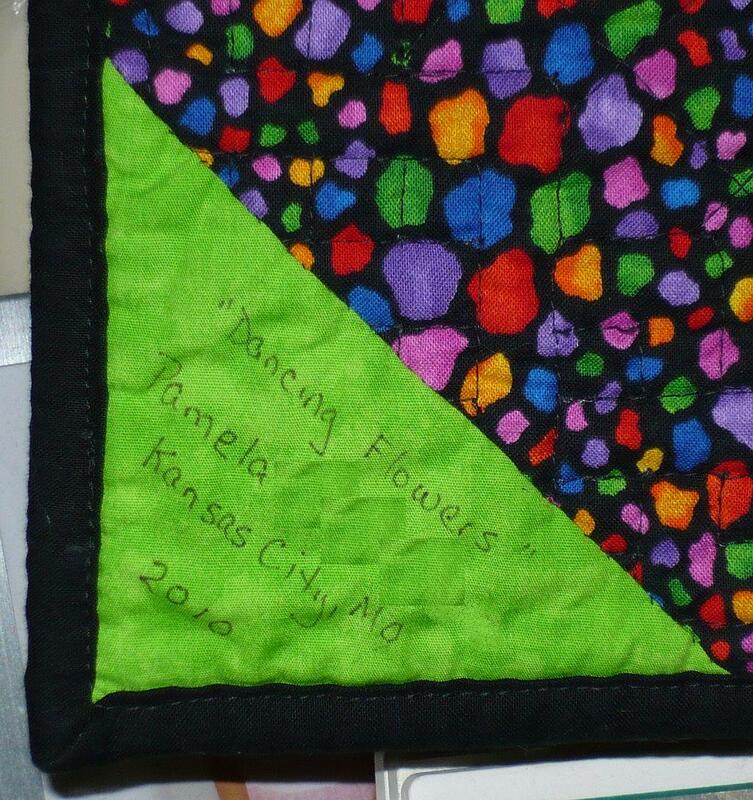 But I still haven’t gotten a good picture of the quilting or the right colors of the border and sashing. The label is the same fabric that is in the border. I love the Laurel Burch fabric I bought for the backing. It hides my quilting — unless you are up close and in good light. I’ll try tomorrow in the daylight — provided it’s not raining to get a better picture.